today is a very special day. Gurtam and particulary Labs department are happy to announce that we have just released new application for maintenance management - Fleetrun. It is a huge milestone in Wialon ambition to become a more sophisticated fleet management system. Some of you are lucky to have already witnessed Fleetrun during Telematics 2018 and beta-testing. Now it is available under https://fleetrun.wialon.com for everybody. In this topic our team will elaborate on the newest additions to the solution as well as ways to apply them in your businesses. Let me briefly introduce you to the app's functionality. In the center of the app there a Fleet, which is activated for an account of your client. Fleet is basically a container for maintenance intervals, services and line items. - graphics with the fleet mileage and engine hours value. To create an interval you need to specify interval name, description, frequency and advance notice value. This value states when the service (based on the corresponding interval) should be created automatically taken into account the interval frequency. Additionally, the online service reminder will take place. e.g. The frequency of interval for oil change is 5000 km. The advance notice for this value is 50 km. It means that the service will be created at the 4950 km point of unit mileage. Under interval creation you can also assign units to the interval. Please note that unlike Maintenance module in WH, a number of units can be assigned to one interval. Eventually there is one interval and a number of services based on it - one service for each assigned unit. As said above, with the right configuration of an interval for the corresponding units the due services will be created. A due service can be manually moved to in progress or closed status. Besides that a service in any status can be created manually, it does not necessarily have to be linked to an interval. This can assist you in registering unplanned maintenance, e.g. repairs. A huge enhancement of registering services is a possibility to attache files to the service: bills from workshop or scanned documents. With such a functionality fleet managers can have more control of performing services. * fill in the library of line items so that when registering a service you can select the performed labour and used parts from the predefined list. Library of line items simplifies adding them to the service directly with its cost. Migration of intervals and services from Wialon Hosting to Fleetrun will speed up your work with the application and immidiately fill it in with the actual data. I would also like to pay your attention to the how the work in Fleetrun is started. So that an end user, fleet manager of an N fleet, is able to start working with Fleetrun, there should a fleet activated for him correspondingly. Activation can be performed by any user with the dealer rights in the Administration interface. Besides that in the Administration interface it is possible to add units to the fleet, grant access rights to the user and configure sending notifications to the external services. And last but not the least our young apps needs an active engagement from you to understand what side of it should be further developed and advanced. That's why we will be glad to recieve your feedback, questions and ideas at m.starikova@gurtam.com or on forum. mars, is Fleetrun available for WL also? 1) Enter https://cms.wialon.com/ under the top-user account. 2) Select Apps Configurator in the top side menu. 3) Go to the Installed tab. 4) Select Fleetrun from the list. 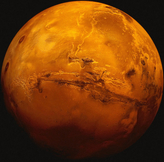 mars, may you share your webinar capture? the webinar recording will become available tomorrow. Please follow the news here. The webinar record is available here. mars, does Fleetrun support RTL languages? If No, then what's your plan for RTL support? Frankly speaking, there are no specific plans for adding RTL that I can share with you. However, we will keep your request in mind and will return to it as soon as we have news. Also let's see whether other partners give voice to the same request. In the meantime, do you have any plans to connect units to Fleetrun? Have you already tested the application? We mostly use WL and we will test and use it as it will be available for WL. For now, we are working on localization of it as no one in Iran uses any languages except Persian. We are going to to all vocalizations before next WL release which may can provide Fleetrun also. I am glad you are being so active on making Fleetrun a more efficient application. 1) "Profiling on the units ( if i have trucks and One is Isuzu and another is Actros ) the unit profile limits us from customization to our fleet"
We are having some plans on advancing the unit profile, that's why such a request is just up to the point. Could you please with us why it is necessary to differentiate between various makes of one vehicle type? How would you like to apply this in Fleetrun? 2) "i would wish to have a vehicle job card printed or emailed to the vehicle owner after the service"
Here you are talking about a service job card. Could you please explain what you mean by the vehicle job cards? 3) "Also how can i capture Fuel cost in fleet run"
If you mean the fillings, then we are analyzing the potential of this feature at the moment and would like to provide our customers with an ability to have such a possibility. 4) "is it possible to import service inventory"
Could you please provide us with more details on this request? What is meant by service inventory? Do you by any chance have some kind of a file with these data to share with us? Thanks a lot for all of your ideas. To some extent we are looking in one direction as to how Fleetrun should be evolutionized. Besides, other partners are able to get to know your suggestions and utter their own opinion on them. For a more detailed conversation I have sent you an e-mail.